Considerable heterogeneity exists among the 3 main types of stroke — incident subarachnoid hemorrhage, intracerebral hemorrhage, and ischemic stroke — and their associated risk factors, including diabetes mellitus, smoking, and adiposity, according to the results of a large prospective study and meta-analysis published in Neurology. 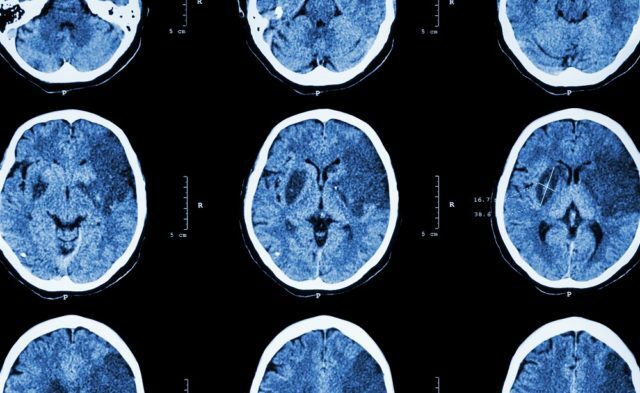 The investigators sought to compare the association between behavioral and related factors for the development of the 3 main pathologic types of stroke. A total of 712,433 participants from the Million Women Study who had no prior history of stroke, heart disease, or cancer reported their behavioral and related factors at baseline and were followed up via the use of national hospital admission and death databases. Mean patient age at baseline was 59.8±4.9. Cox regression models were used to estimate relative risks (RRs) and their 95% CIs based on type of stroke. After 12.9±2.6 years of follow-up, 8128 women experienced an incident ischemic stroke, 2031 sustained an intracerebral hemorrhage, and 1536 had a subarachnoid hemorrhage. In women with diabetes, the risk for ischemic stroke was increased substantially (RR 2.01; 95% CI, 1.84-2.20), the risk for intracerebral hemorrhage was increased slightly (RR 1.31; 95% CI, 1.04-1.65), but the risk for subarachnoid hemorrhage was reduced (RR 0.43; 95% CI, 0.26-0.69; test for heterogeneity by stroke type, P <.0001). In women who reported a history of hypertension that required treatment, an increased risk for each type of stroke was reported: ischemic stroke (RR 1.70; 95% CI, 1.62-1.79), intracerebral hemorrhage (RR 1.46; 95% CI, 1.32-1.61), and subarachnoid hemorrhage (RR 1.18; 95% CI, 1.04-1.34), with significant heterogeneity according to type of stroke (P <.0001). Stroke occurred significantly more often in women who rated their health as poor or fair compared with women who rated their health as excellent or good (RR 1.36; 95% CI, 1.30-1.42). Of a total of 565,850 women who rated their health as excellent or good, current smokers had an increased risk for experiencing all 3 types of stroke, which was greater for subarachnoid hemorrhage (≥15 cigarettes per day vs never-smokers; RR 4.75; 95% CI, 4.12-5.47) than for intracerebral hemorrhage (RR 2.30; 95% CI, 1.94-2.72) or ischemic stroke (RR 2.50; 95% CI, 2.29-2.72), with heterogeneity across stroke types (P <.0001). Obesity was associated with a significantly increased risk for ischemic stroke and a significantly decreased risk for hemorrhagic stroke (heterogeneity, P <.0001). These associations and the heterogeneity were all confirmed by meta-analyses across the 3 types of stroke. The investigators concluded that the classic risk factors for stroke have different effects on the 3 main types of stroke, therefore confirming that the 3 main pathologic types of stroke have substantially different etiologies.